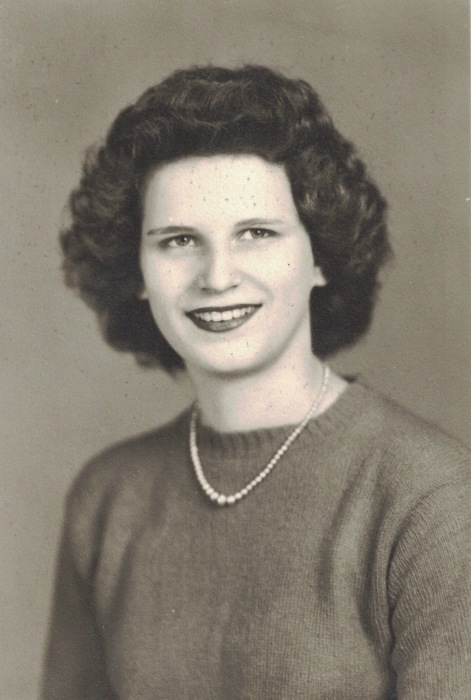 Marjorie E. (Bainbridge) Knoll, 90, of Schuylkill Haven, passed away Wednesday, March 20th, at Lehigh Valley Hospital - Schuylkill, E. Norwegian St., Pottsville. Born in Branch Township, on February 22, 1929, she was the daughter of the late Helen (Brennan) and Edward Bainbridge. She was the widow of Richard M.Knoll, who passed away in 1992. She was a graduate of Minersville High School, class of 1946 and was last employed by the former Walk In Shoe Company. In addition to her husband, she is preceded in death by her siblings Geraldine Holley, Doris Yannaccone and William Bainbridge. Marjorie is survived by her children Debra L. Knoll, Schuylkill Haven, Randy R. Knoll, Bartlett, Tenn, Leslie L. Vaughan, Schuylkill Haven and Tracey B. Donatti, Schuylkill Haven; grandchildren Adrienne Knoll, Josh Donatti, Lauren Donatti, Sara Knoll, Austin Knoll and Grant Vaughan; great-grandchildren: Anna Donatti, and Raymond Guiracocha; and nieces and nephews. A Celebration of Life Funeral Service will be held at Geschwindt-Stabingas Funeral Home, Inc., Schuylkill Haven on Saturday, March 23, at 10:30 AM, with pastor Jim Fidler officiating. A viewing for family and friends will be held prior from 9:30 AM until the time of the service at the funeral home. Interment will be at Schuylkill Memorial Park, Schuylkill Haven. Geschwindt-Stabingas Funeral Home, Inc., Schuylkill Haven, has been entrusted with arrangements.